﻿If you'd like to jump rope for fun, exercise or to increase your jump rope skills, don’t miss this class. The Just Jumpin’ team members teach a weekly 60 minute workshop that instructs jumpers in single rope, wheel rope and double dutch skills. Student jumpers can learn up to 80 beginning and intermediate jump rope skills. Once these skills are obtained, jumpers may be invited to become a member of the Just Jumpin’ team. 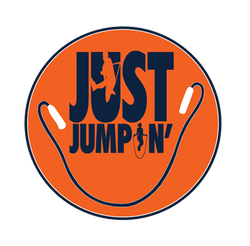 When a jumper joins the Just Jumpin’ team they will continue to learn advanced skills and participate in performances, competitions and teaching jump rope to others.